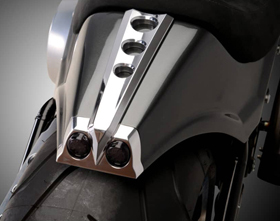 Our rear calipers for pulley-brake combo are specifically designed for custom Harley Davidson V-Rods. These pulley brakes for V-Rods are precision machined from billet aluminum for strength and durability. 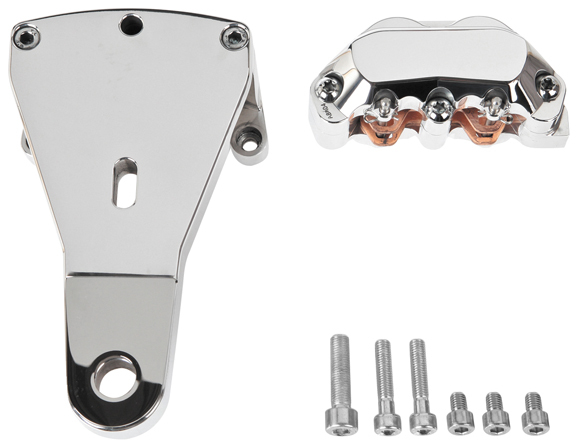 Our rear caliper for pulley-brake combination is to be mounted with our Lowrider Pulley for V-Rod or Open Mind Pulley for V-Rod (sold separately) and with our Lowrider Rotors for V-Rod or Open Mind Rotors for V-Rod (sold separately). 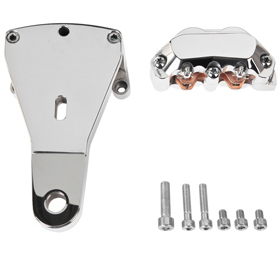 Pulley-brake kit for V-Rod includes caliper, caliper bracket and adjustment. This kit will allow you to mount everything on the left side of the rear wheel, to leave the other side completely clean and uncluttered! Hello there, A couple of questions No 1 Will the stealth kit fit my 2009 V Rod Muscle? 3 Will it be able to be fitted with my existing ABS brakeing system ? 4 Is it 2,4 or 6 piston caliper? 5 Finally what do I need exactly and how much will it all cost me please? Thank you for your interest in Eurocomponents’ parts for V Rod. 1. Will the stealth kit fit my 2009 V Rod Muscle? 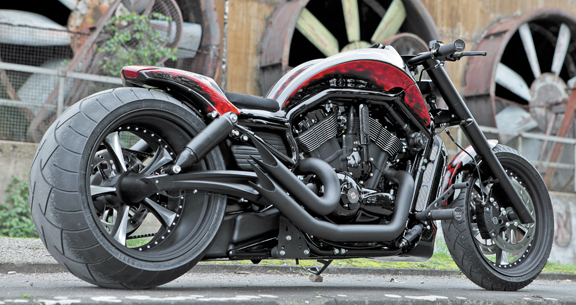 Yes, we have a specific version of our Stealth body kit for V Rod Muscles. 2. Will the brake pulley set up fit my 2009 Muscle? Yes, our rear caliper for pulley-brake kit can fit your V Rod Muscle, but if you are not going to use one of our wheels, pulleys and rotors, you need to take care of the wheel spacers and possible modifications for fitment of the different components. 3. Will it be able to be fitted with my existing ABS braking system? 4. Is it 2,4 or 6 piston caliper? Our rear caliper for pulley-brake kit for V Rods features a 4 piston caliper. 5. Finally what do I need exactly and how much will it all cost me please? Please see answer no. 2. As for pricing just click the BUY NOW links and you will be directed to our webstore corresponding product pages, where you can choose from different product models and finishes and check all prices. Does this kit work for Dynas or do you have a kit that will? Thank you for your interest in Eurocomponents pulley-brake kits. 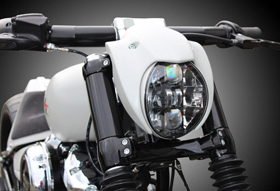 Yes, we make also a rear caliper for pulley-brake kit specific for Harley-Davidson Dyna models. looking for a rotor brake kit to fit my Vrod, Night Rod. Do you offer one, are there any pictures? Yes, our pulley-brake kit fits also Night Rods. The pictures we have are the ones you can find above these comments. 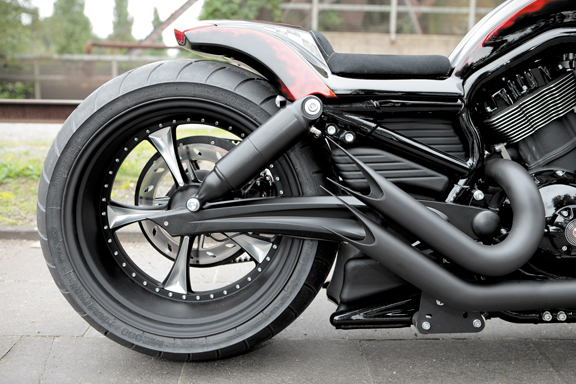 Does the pulley and disc brake combination work on a stock swing arm on a 2011 v-rod Muscle with a 280 tire on rear wheel? I also like to know if it will work with my stock wheel which has a 280 tire? Thank you for your interest in Eurocomponents pulley-brake kits for V-Rod’s. 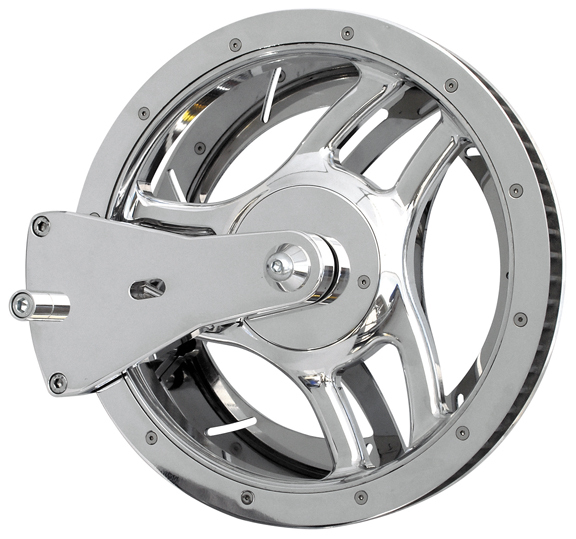 Yes, our pulley-brake kit can be mounted also on your 2011 V-Rod Muscle, but as written on the page it must be mounted with our Lowrider Pulley for V-Rod or Open Mind Pulley for V-Rod (sold separately) and with our Lowrider Rotors for V-Rod or Open Mind Rotors for V-Rod (sold separately).